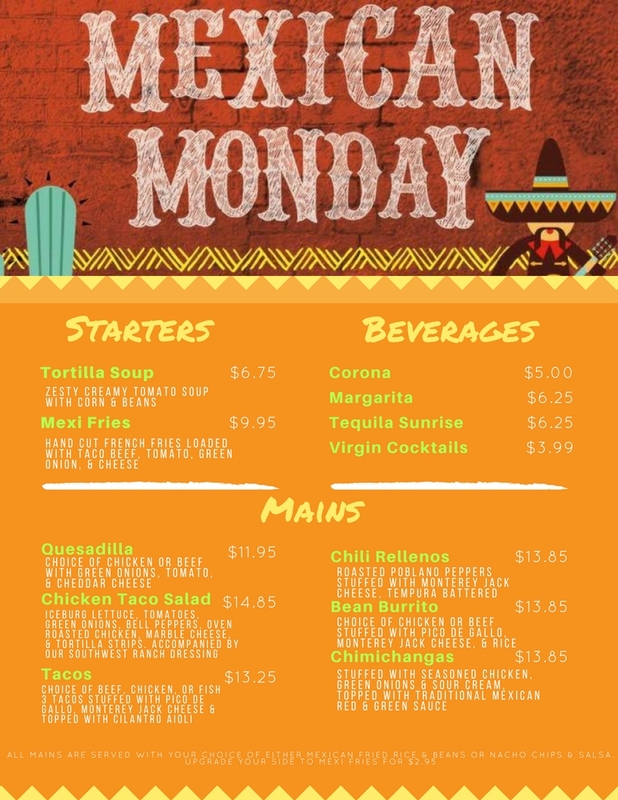 Join Us For Mexi Mondays! Warm up with Mexi Mondays! Check out the menu below. Hours of Operation: Everyday from 6:30a.m. to 10:00p.m. ©2013 Copyright Shelly's Tap & Grill. All Rights Reserved.